this is cool--thanks for sharing! Cool ...loved your reveiw !!! Wow! That's so awesome! You're so lucky!! I always say this (and I really mean it), but I also want to thank you for your lovely comment on my blog and for stopping by in general, I really appreciate it! hi, i give you the luxury blogger award! come check my blog! I am comfortable looking at the site. What a great site! Lots of cool stuff. thanks for your lovely comment n my blog good luck with the give away! thank you! they have such fun and unique stuff!! Lovely shop, thank you for this possibility! 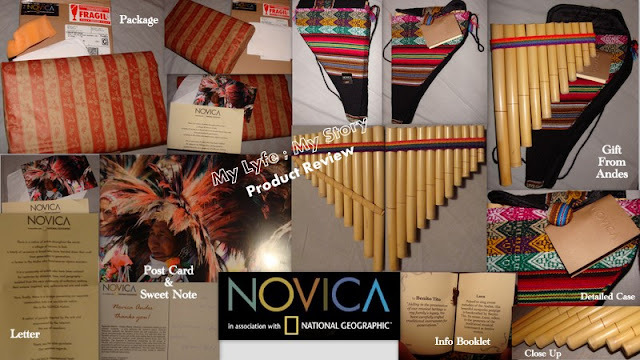 LOVE the stuff at Novica!!! Thanks for the chance! !